There are a few new things that got introduced to us in NBA 2K17 and we have all the reasons to be happy about. 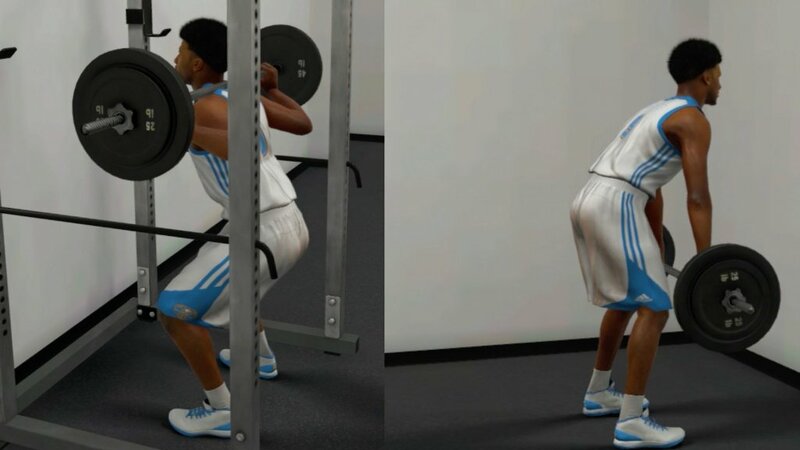 Apart from the Dual Player Controls that we’ve already talked about, 2K Sports also introduced a new training option: the “Doing Work”. I am here to share with you a complete guide to the new NBA 2K17 Doing Work feature, as well as share with you some quick and extremely simple to follow tips to fill the Doing Work meter quickly in the game without wasting any time! Doing Work is a new feature in the game that you will have to unlock in the game. Chances are you have already unlocked it by pure chance so far – if you didn’t, here’s how to: first, you will have to get drafted to the NBA and then start getting the days off. That’s when you can start “Doing Work”. But if you did that already and you went through drills with your teammates, you certainly found out that the meter bar fills really slow. However, there’s a way to quickly fill it and get those attribute upgrades very fast, without even getting through the drills! All you have to do is to start the Doing Work event by choosing to go to practice at the team’s facility when you have a day off. The key here is getting into the gym and doing some drills there. However, if you’re not allowed to enter the gym/weight room yet, just wait for a little bit until one of your teammates asks you to practice and choose NO. Now you will be able to enter the gym where you can quickly fill the doing work meter. Basically, everything you do in that room will fill the meter very fast. For example, there’s the drill where you have to jump on that barrel: it doesn’t really matter how many jumps you succeed, you still fill the bar a lot each time you finish the drill and you finish even faster if you get gold. Also, you can try the Vertical Jump which is just as easy: go to the far right to start the exercise and again, no matter if you get gold or not, you will fill it very fast. This is the key to actually filling the Doing Work meter faster than going through the time consuming drills. And remember to do this as often as possible because the attribute upgrades you get by following this method will help you improve your player in My Career and apparently you can’t really max out your skills without going through this type of practice! Did you find other even faster ways to fill up the Doing Work meter in NBA 2K17? Let us know by sharing a comment below!